The leaves and the temperatures are falling, but the family fun continues with free November events. 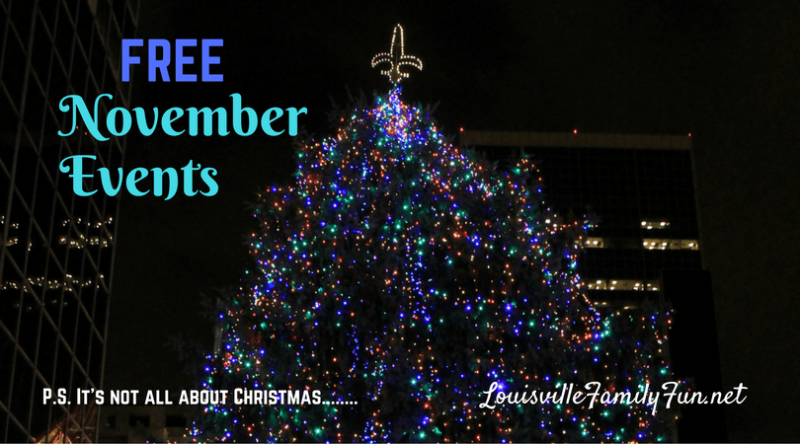 Louisville is filled with family fun in November and many of the events are free. We have selected a wide variety of events for the whole family, even teens! Grab a cup of hot cocoa, sit down beside the fire and mark your calendar with free November events. November 2 hop on the Fall Harvest Hayride from 6-8:30pm in Clarksville! Fridays, November 2, 9, 16, 23, 30 FREE Fridays at Zaniac (after school). Your child can join us for one Friday in November from 4 p.m. – 6:30 p.m. FREE! Spaces are limited to the first 10 people to sign up for a FREE Friday! For students K-8th grades. November 3 from 9am-12pm make a custom model helicopter in honor of Veteran’s Day at Home Depot. You must register in advance. November 3 go to Southwest Regional Library and find out more about their new program, telescope lending! It’s a Family Star Party as they launch the Telescope Lending Library from 7pm-9pm. Sundays, November 4,11,18,25 from 12pm-5pm: Free admission to Speed Art Museum. WE INTERRUPT THIS MESSAGE TO TELL YOU TO CLICK HERE FOR MORE INFO ABOUT BIG FAMILY FUN DAY ON NOVEMBER 18 – benefiting BIG BROTHERS BIG SISTERS! November 3-29 (select days-check Library calendar here) Shakespeare in the Libraries: Taming of the Shrew. November 10 is Family S.T.E.A.M. Day at South Central Regional Library. It will be a day filled with science, technology, engineering, art, and math fun for the whole family! It’s from 10 a.m. to 4 p.m.
November 10 is a free guided hike for Veterans Day Weekend at Jefferson Memorial Forest . Families can meet at Tom Wallace Recreation Parking Lost at 9:00am. It is strenuous. November 10 from 10am-12pm is Muppety Paper Plate Puppet at Carnegie Center for Art and History; free but registration is required. November 10 there will be a free jazz concert with the Imagine 2020 Concert Series at the Middletown Library. It’s from 2 p.m. to 4 p.m.
November 11 is a Five Senses Preschool Tour at the Speed Museum. Explore the museum with your child (ages 2-5) and use your senses to move around! It’s from 2 p.m to 3 p.m.
November 11 the Jeffersontown Veterans Memorial Park reopens with fanfare and in celebration of Veterans Day! There will be performances and other activities from 4 p.m. to 5 p.m. Check the Facebook page for updates as final construction is weather permitting. November 13, 14, 15, and 28 starting at 6:30pm will be Nutcracker Storytime with the Louisville Ballet at select library locations in Louisville. Click here for more information. 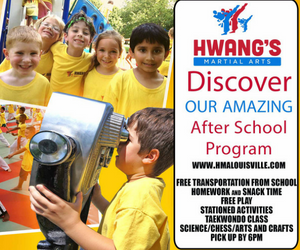 November 15 is a free play date from 5pm-7pm at Kentucky Science Center. It’s for children ages 0-4 and their caregivers. 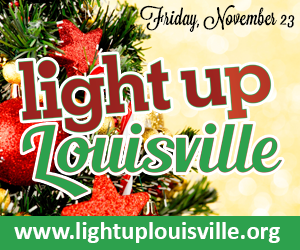 November 23 is Light Up Louisville in downtown Louisville. It starts at 4:00 p.m. with children’s activities, live entertainment, a parade, and appearance by Santa Claus! November 24 make a Gingerbread Ornament at Home Depot Kids Workshop! It’s from 9am-12pm and you must register in advance. November 30 Light Up Middletown festivities from 5 p.m. to 8:30 p.m.
Visit our calendar for more November events and check back soon for winter holiday fun! Our Winter Fun Page for 2018 is coming very soon!